Curved and cut out to dazzle with its contemporary style, the Laurie Chair by Precedent provides room to lean back and get comfortable. 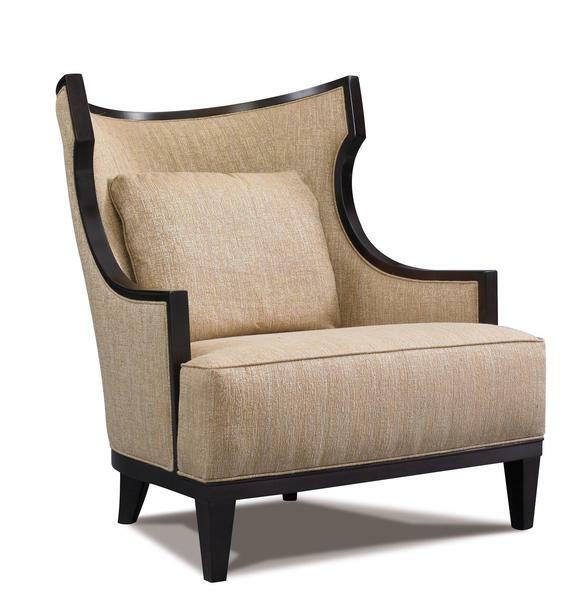 Offering elements of a wing back chair, Laurie is padded and inviting, with a soft toss pillow that's just right for back support or snuggling with. Setting up a sitting area you can rely on to look fantastic while offering maximum comfort is made possible with American made furniture by Precedent. Precedent builds their fine furniture with certified lumber and recycled steel, adding an eco friendly vibe to their exquisite line of contemporary furniture. With over thirty years experience in crafting fine furniture, you can rely on a living room chair from Precedent to last. Frames are guaranteed for life to the original buyer and cushions are guaranteed for two years. Exciting upholstery options let you create an accent piece you'll love. Check out Precedent quality in this quick video.